Ibogaine comes from the root of the West African shrub Tabernanthe iboga. The plant has been used for centuries in spiritual celebrations, coming of age rituals, and healings among the Babongo and Mitsogo people of West Central Africa. In Africa, followers of the Bwiti religion use ibogaine. There are estimated to be approximately 2-3 million members of the Bwiti religion scattered in groups throughout the countries of the Gabon, Zaire, and the Cameroun. The rootbark of the Tabernanthe iboga plant referred to as ‘iboga’ or ‘eboka’ is taken in large doses for the ‘Bwiti initiation ritual’ – a powerful ‘rebirth’ ceremony that group members typically undergo before the commencement of their teenage years. Over the past century, western researchers began investigating the alkaloids in the root of Tabernanthe iboga. Ibogaine is largest, but only one of several alkaloids in the root. An underground railroad of addicts helping addicts provided the first anecdotal evidence that ibogaine helped people break their cycle of addiction to heroin, cocaine and alcohol. Ibogaine was thought to have a therapeutic benefit when used as an adjunct to brief intervention to promote the transition to abstinence in drug-dependent patients. In the 1990s, academic researchers provided proof of concept that ibogaine stops drug taking in animal models of addiction. These studies were very promising, but there was much more work on the road ahead towards professional acceptance and regulatory approval. Until the last 30 years, most of the knowledge of the human experience with Ibogaine came from its use in spiritual and religious practices in Africa. However, starting in the 1980s and continuing today, small Ibogaine treatment centers have emerged in Europe, Canada, Central America and Mexico. Ibogaine has never been approved for use in the USA. In New Zealand, Ibogaine and its active metabolite – Noribogaine were added to the national formulary. Ibogaine was marketed for many years in France in very low dose tablets under the tradename Lambarene. Taken together, there is over 120 years of research, testing and observation on the plant alkaloid Ibogaine. The most extensive information on the therapeutic effects of Ibogaine came from our study of controlled clinical observations in over 300 patients conducted in St. Kitts, W.I. Our original work from 1996 – 2004 showed that Ibogaine effectively blocks opiate withdrawal, alleviating the cravings and desire to use drugs in some patients for prolonged periods after administration of only a single dose. We also demonstrated that patients report less depression and anxiety after detoxication with Ibogaine. These findings are important because many patients reported that they felt no withdrawals or drug cravings in the early days to weeks after treatment, which gave them an easy transition to sobriety. Some patients also reported that they had gained insight into their destructive behaviors and they understood the need to work a program to ensure long-term abstinence. Ibogaine never advanced further in the USA, because it is classified as a Schedule 1 controlled substance. Schedule I drugs are difficult to work with because they are highly controlled and require major efforts to secure DEA and FDA permission to test them in human subjects. In 1993, the FDA approved our clinical trial to begin testing the drug in humans. The FDA gave permission to our team at the University of Miami Miller School of Medicine to conduct a limited Phase I clinical trial. We worked very closely with the FDA and researchers across the USA. Unfortunately, these landmark studies did not go forward because of a lack of public or private funds. Human clinical research is very expensive and in the absence of public or private funds, we could not continue our work at the academic medical center. Undeterred, we opened an offshore clinic in St. Kitts, W.I. in 1996 and provided treatment to alcohol and drug addicted patients with Ibogaine. We collected the first safety, pharmacokinetic and efficacy data, which we provided to the FDA for their review. We provided medical oversight and counselors to work closely with our patients in a highly structured research and clinical setting. We obtained payment for our services to support this research using a sliding scale to cover our direct expenses. The Healing Visions Institute for Addiction Recovery, Ltd. was closed in 2004, when we decided that it was time to bring this work with Ibogaine back to the USA. Our work with addicts who were desperate to break free from their addictions was very rewarding and we had overwhelmingly positive results. We reported that patients treated with Ibogaine demonstrated impressive clinical outcome measures with rates of relapse three times better than patients in current public or private addiction treatment programs operating in the USA or elsewhere. However, these were small studies and much more work was needed to demonstrate the full benefits of Ibogaine therapy. My efforts were shifted to development of the active metabolite – Noribogaine. To this end, we worked with private investors to establish a start up company to test Noribogaine in humans with a hope that this new molecule would be attractive to the pharmaceutical industry. Very few new molecules are developed for the treatment of addiction. We are hopeful that the metabolite – Noribogaine may advance through the various stages of FDA drug trials to enter the market as a new medication. These controlled clinical trial studies are currently ongoing in Canada in opiate dependent patient volunteers. The discovery that ibogaine eliminates the signs and symptoms of opioid withdrawal and diminishes craving for opioids was first made in the 1960’s by a group of self-treating heroin addicts. A single oral dose administration of ibogaine was associated with a disruption of five addicts’ use of opiates for up to six months. The greatest revolution of our generation is the discovery that human beings, by changing the inner attitudes of their minds, can change the outer aspects of their lives. Ibogaine has since been administered to many thousands of opiate and cocaine addicts, but it has never been proven effective in any FDA or European Union Medicines controlled clinical trial. Despite this lack of moving human anecdote to therapeutic evidence, open-label observations support the conclusion that Ibogaine therapy is safe and efficacious for patients seeking detoxification from opiates and other drugs. However, it is very important that only a competent medical doctor who understands the safety and therapeutic limitations of this experimental treatment administers Ibogaine. Many dishonest and self-styled Ibogaine therapists administer the drug in unsafe settings. Patients seeking Ibogaine treatment must be cautious before traveling abroad to take the drug without careful review of the program and the people behind it. Addiction is a chronic relapsing disorder that affects physical, psychological and spiritual domains with serious consequences for the individual and our society. William James first suggested, “The greatest revolution of our generation is the discovery that human beings, by changing the inner attitudes of their minds, can change the outer aspects of their lives”. Ibogaine may help addicts to establish a substance-free recovery because the experience itself has benefit or meaning, while the active metabolite Noribogaine helps to reset the brain to block the cravings and desire to use drugs and alcohol that set in motion the addiction relapse cycle. 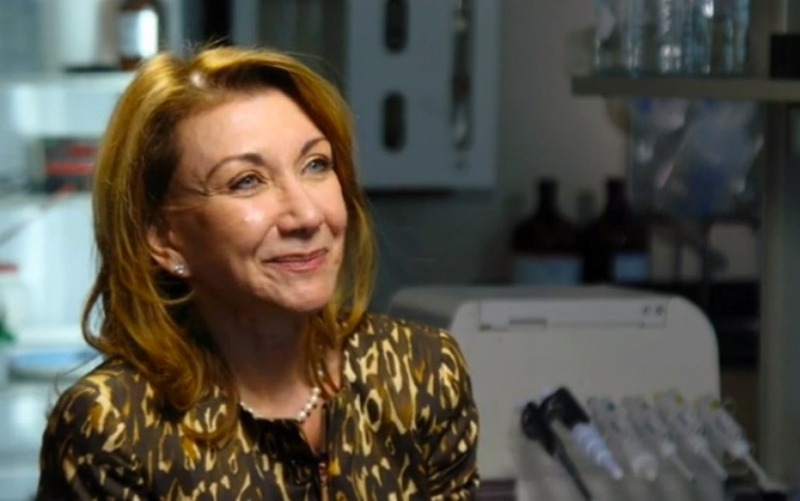 Deborah C. Mash PhD is the world’s foremost scientific expert on ibogaine. 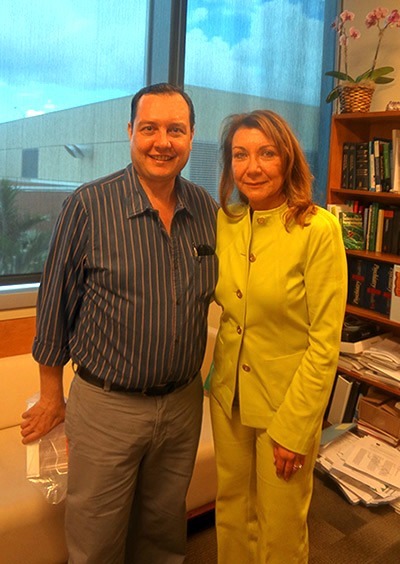 Dr. Mash is a Professor of Neurology and Molecular and Cellular Pharmacology at the University of Miami Miller School of Medicine. Article originally published in The Sober World.